Lasagne, the dish everyone loves. The dish, amongst pizza and spaghetti bolognese, that is the most-well known Italian meal around the world. 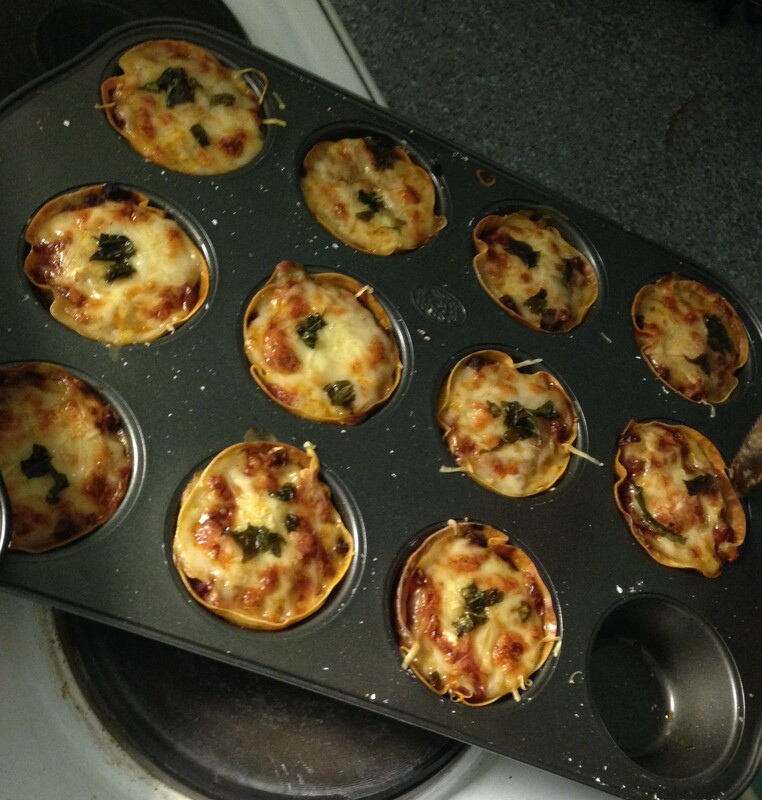 As a lover of lasagne, and of cupcakes too, and while I scourged the web for new food ideas I stumbled upon; Lasagne Cupcakes. The cupcakes prior to cooking. 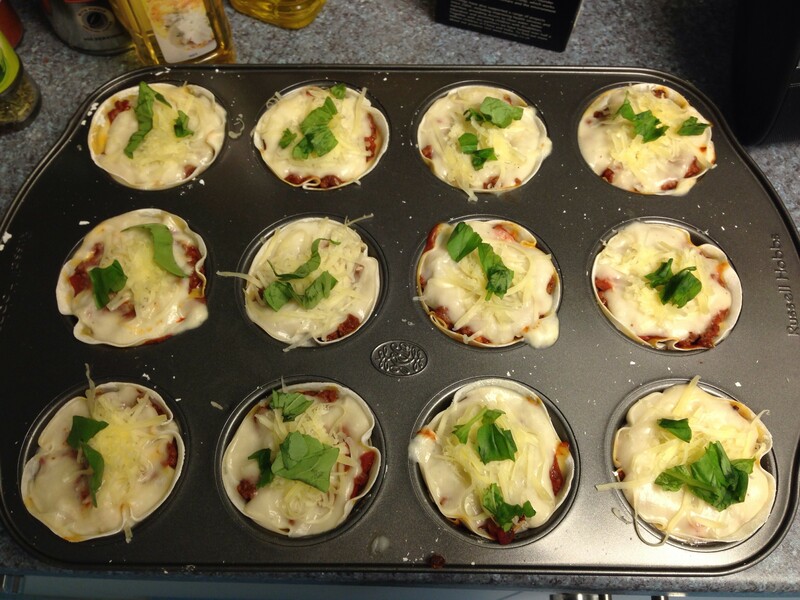 Little lasagne cupcakes, perfect as a side dish or even a main. The recipe is more than easy to follow and all it involves with is using Gyoza wrappers, or just plain dumpling wrappers, and filling them with the meat, sauce and cheese as you would in a regular lasagne! Just remember, no pasta layers are needed! I took to making the cupcakes, along with some home-made garlic bread and the result was a rather tasty and satisfying light meal. Try it yourself and comment below what you think! The cupcakes ready to eat!